Aldea announceed that they have successfully delivered live transmissions of the 2018 FIFA World Cup to 14 customers around the world. By the time the final was played on Sunday, July 15, Aldea’s customers in Australia, Argentina, Brazil, Mexico, South Africa, and Uruguay had distributed all 64 games in HD and UHD (Ultra High Definition)/4K to their respective subscribers. For the first time at a World Cup, Aldea transmitted live content in UHD to numerous customers. Customers’ viewers equipped with UHD/4K television sets have benefited from a superior image resolution and enhanced overall quality, when compared to traditional high definition. Offering more lines, more pixels and more detail, UHD/4K brings consumers closer to the action than ever before. To ensure its clients receive a truly exceptional UHD/4K experience, Aldea secured the most robust fiber routes from Russia with the necessary redundancy and diversity guaranteeing high reliability, security, and minimal latency. 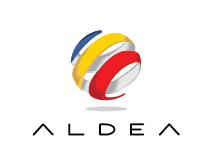 Aldea also deployed the most advanced video encoding technologies available in the market for this undertaking. For this event, Aldea implemented over 100 video and data services in 4 different continents using its network and temporary provisioned fiber infrastructure. Throughout the championship, over 5,600 hours of live video content was transmitted to its different customers.